Wild strawberry is the most successful and iconic ceramic pattern by Wedgwood. 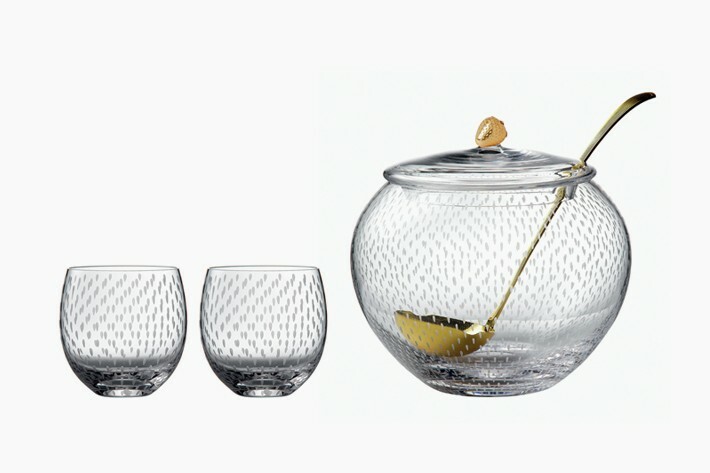 For the 50th anniversary Wedgwood approached Jo sampson to design a complimentary crystal and metal accessories range. Jo Sampson created an alfresco dining narrative and incorporated summer must haves of a punch bowl and pimm’s Jug.